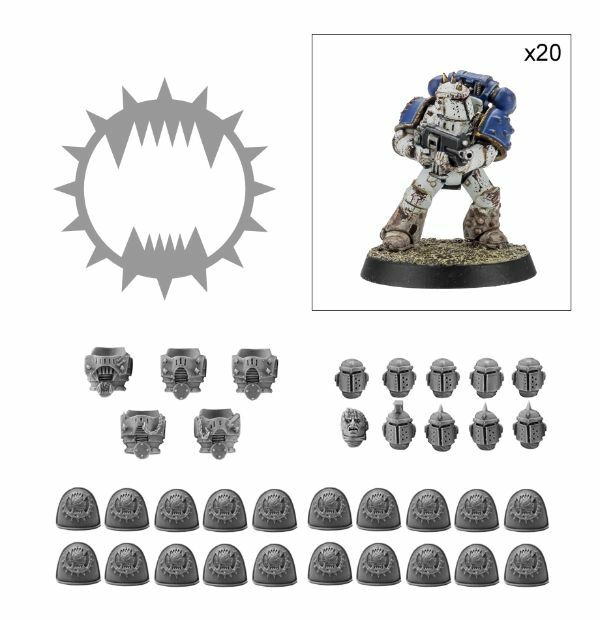 Ah, the Tactical Marine. 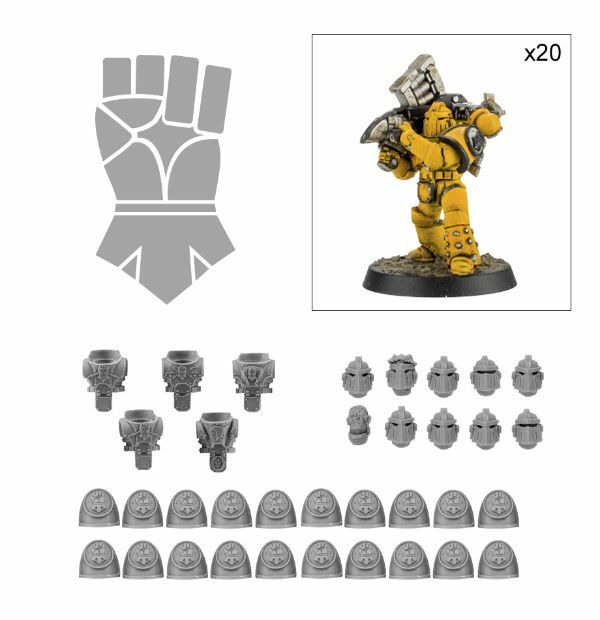 The Swiss Army Knife of the 40k world. 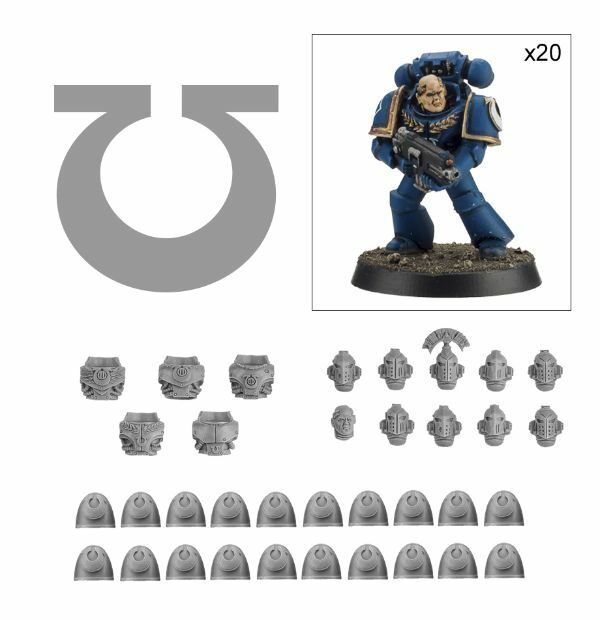 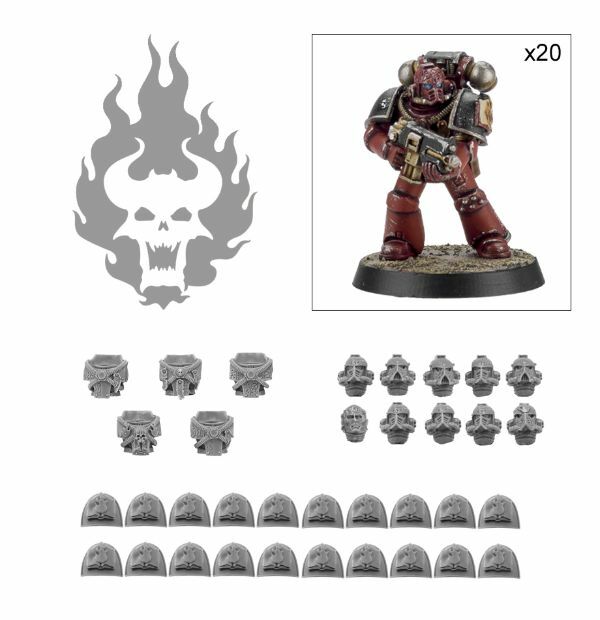 Pretty much every Space Marine player, as well as quite a few Chaos players, will have a couple units of them around. 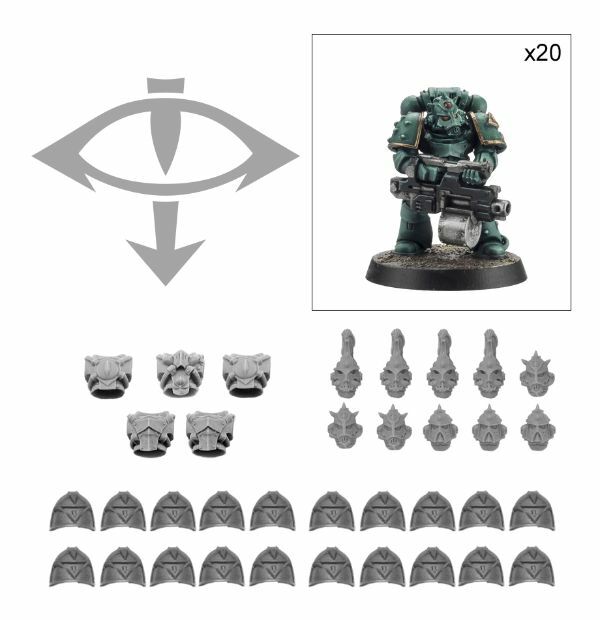 But with all those players using basically all the same figures, what's to keep them apart? 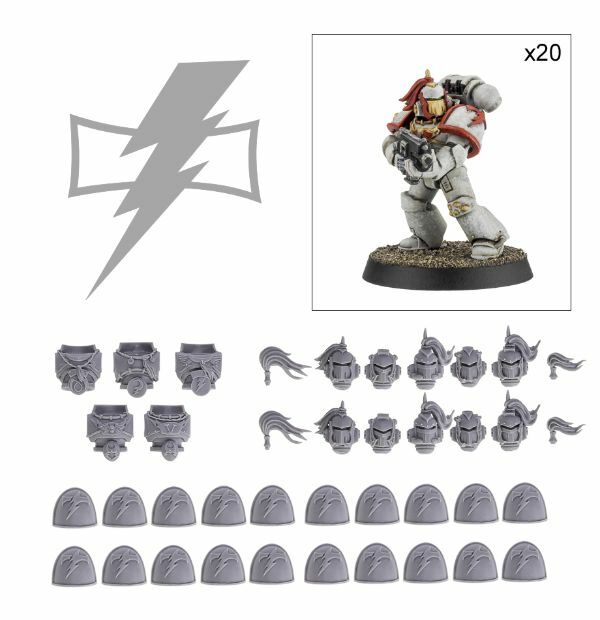 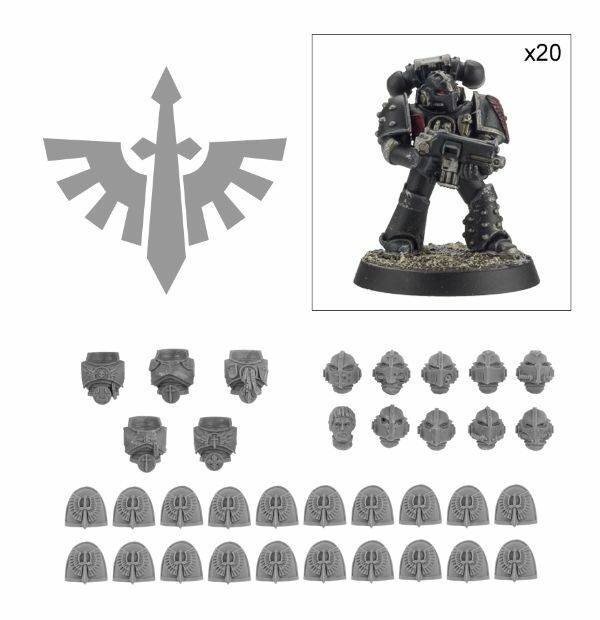 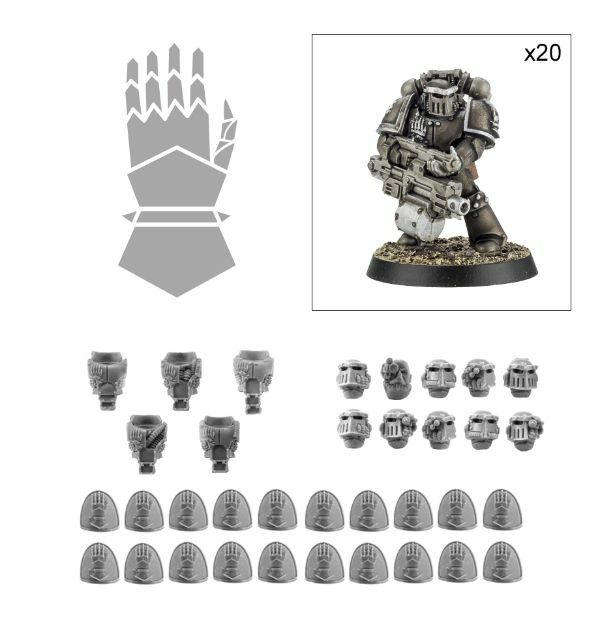 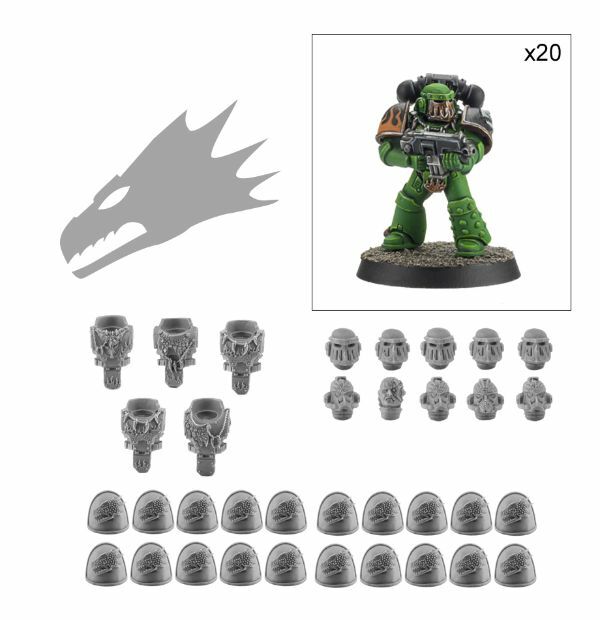 Well, Forge World is here to help, as they're taking orders for dozens of new Legion Tactical Squads in their webshop from all sorts of different chapters. 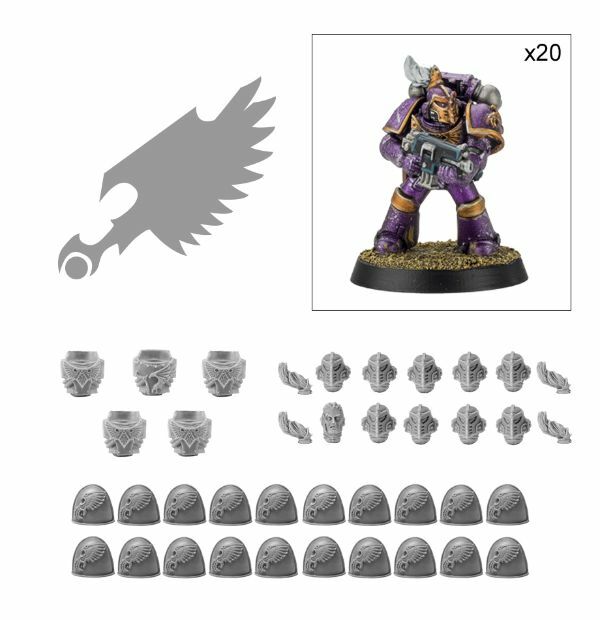 These aren't just new shoulder pads and helmets, as previous sets have been. 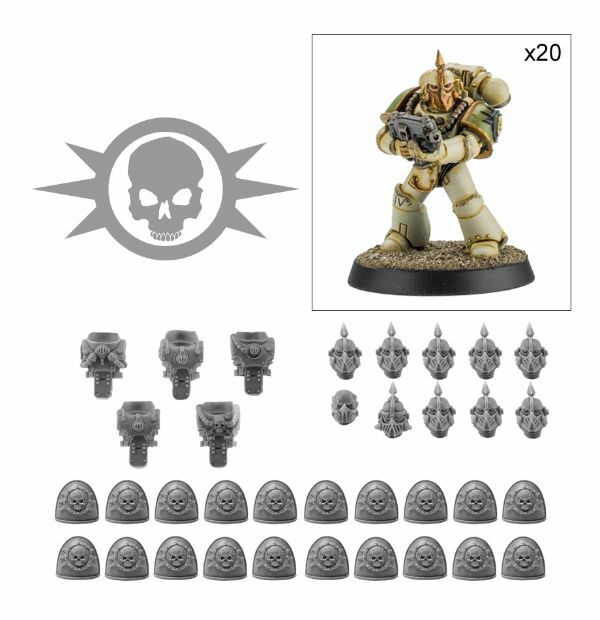 Those require you to go and get your own Tac. 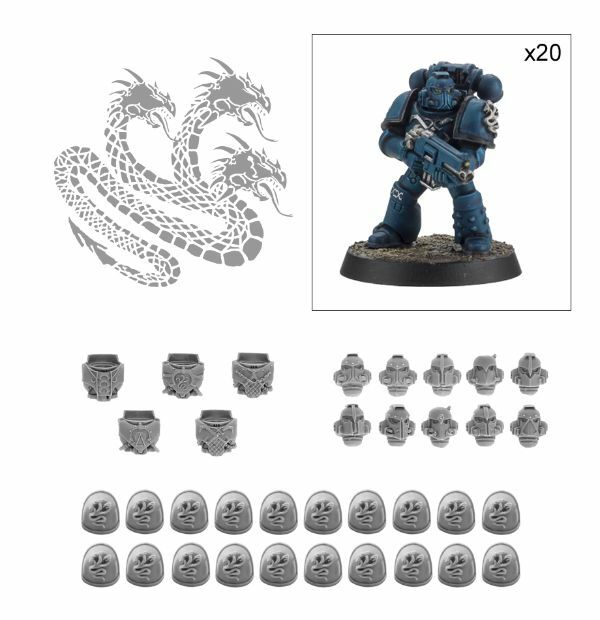 Squad and then buy more bits for them. 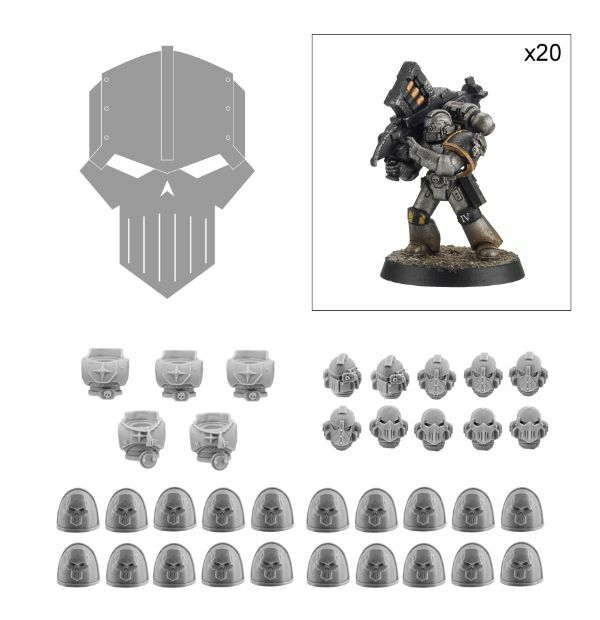 These kits give you a full squad (actually, 20 guys). 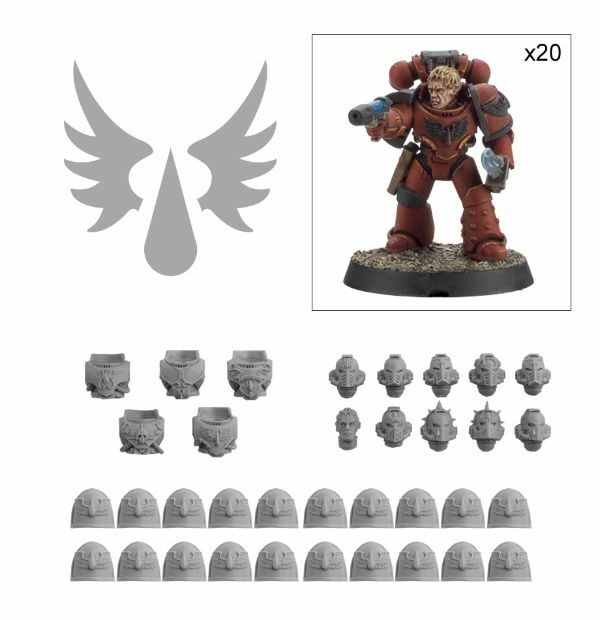 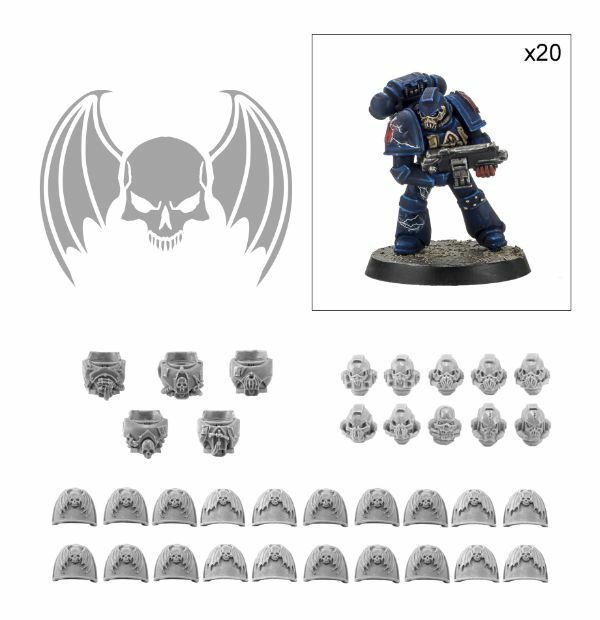 So it's a single-purchase and you're ready to go, including all the usual options for weapons and such that you usually get with a Tactical Squad box. 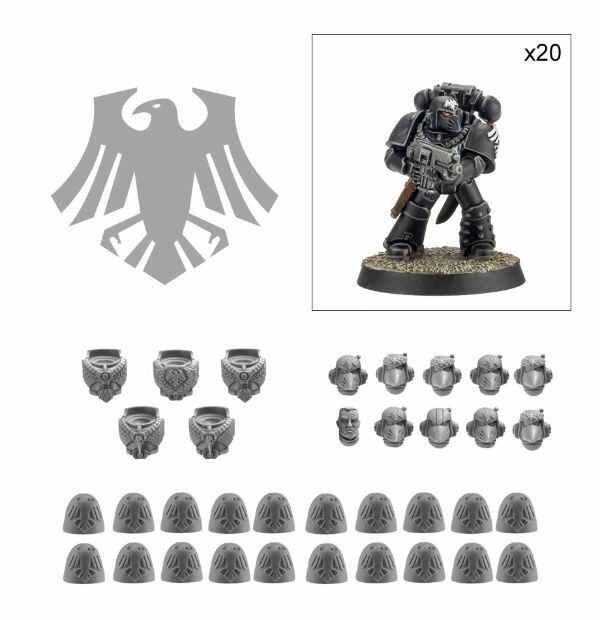 And as you can see, they're from both the "For the Emperor!" 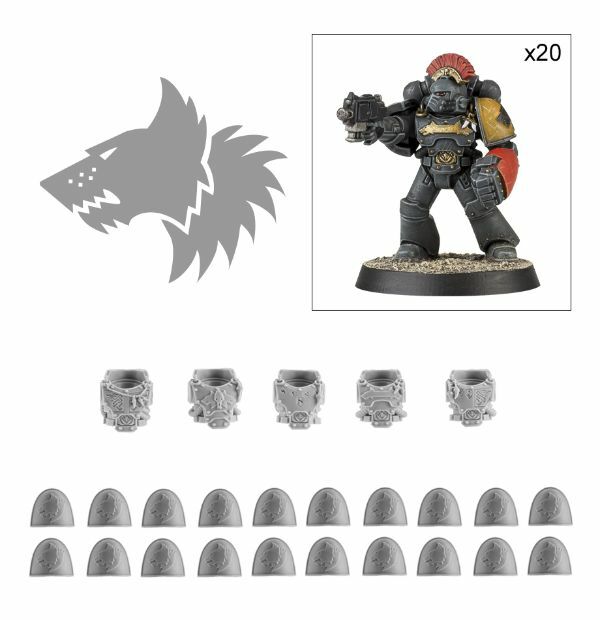 and the "For Horus!" 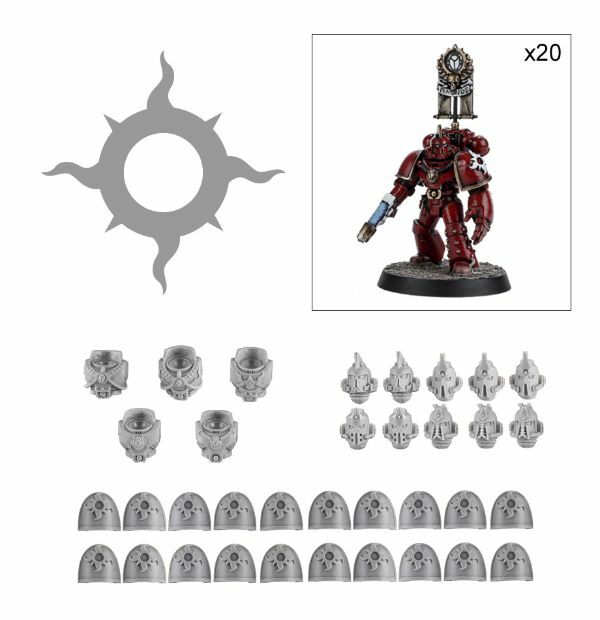 side of the equation.